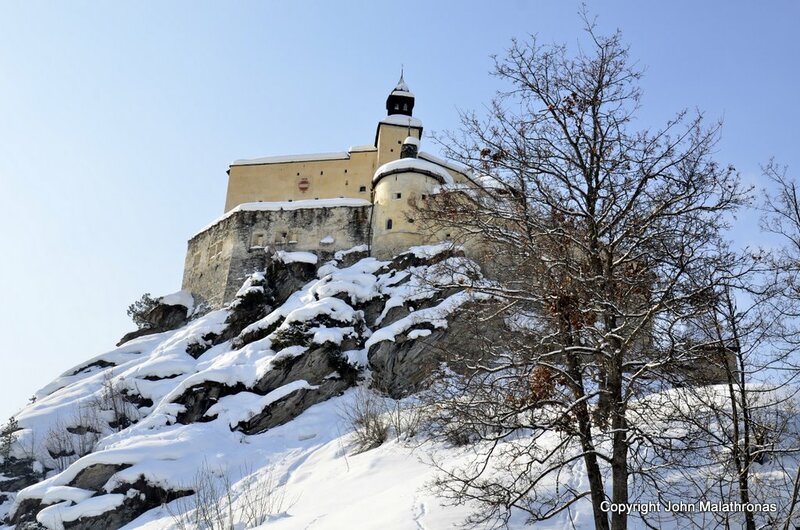 Schloss Tarasp in Scuol is one fairy-tale of a castle like they don’t make them anymore. 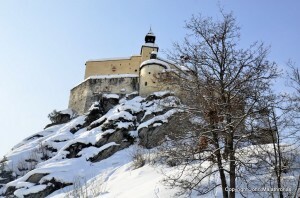 Although 1000 years old and one of many in the Engadine, it is the only one that is not a ruin. The reason for this, is that it was bought in 1900 by one of Germany’s richest men, Karl August Lingner, the inventor of Odol, one of the first mouth-washing liquids. A confirmed bachelor, he was the enfant terrible of his time, scandalizing Prussian society with his parties, his close male friends and, as they claim, his two children out of wedlock. Lingner bought the castle for 20,000 Swiss francs but it cost him a hell of a lot more to restore it to its former glory. It also took him 16 years; ironically, by the time he could move in, he had to have an operation for tongue cancer (he was a cigar aficionado) and died soon of the complications. He never lived in Tarasp; the castle passed to his friend Ernst Ludwig von Hessen in whose aristocratic family hands has remained since. 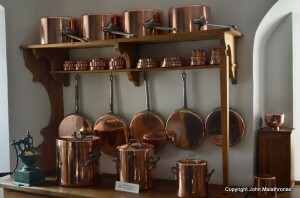 Unused and unoxidised copper utensils in the castle kitchen. 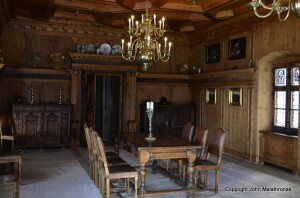 However, the Hessens hardly ever set foot in the castle and no one has lived there since 1930. Too big, too cold in winter and too dramatic for people who didn’t have the romantic urges of Lingner, it has remained a time capsule of nouveau-richness circa 1915. 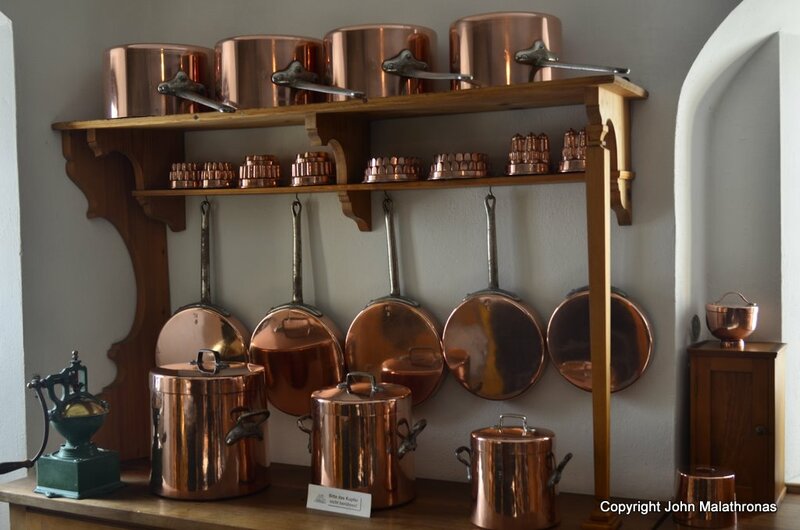 Whole rooms were torn from nearby manors and monasteries to be brought here, the kitchens were stocked with the best of what the early 1900s had to offer and the baths – well, they had to be built with blue Delft tiles. All this, and an amazing view to contend with. It is used for concerts, baptisms (there is a chapel inside the castle) and weddings. 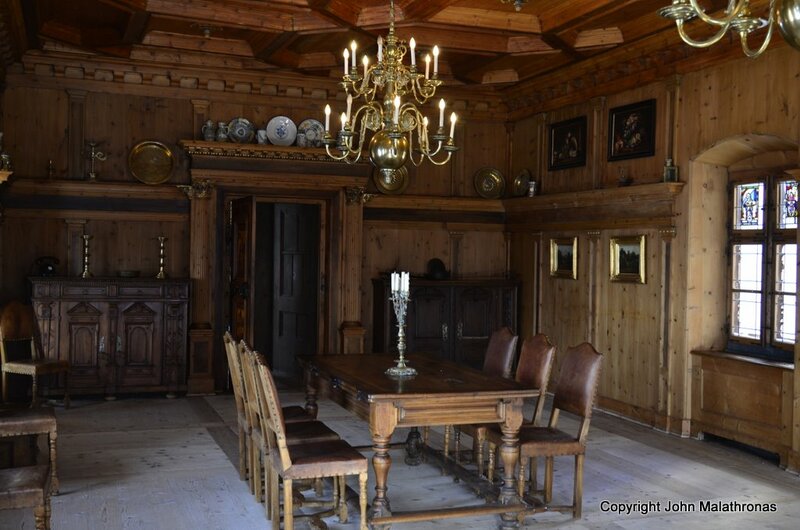 You can book it for your wedding dinner and dance for only 5,000 Swiss Francs – although catering comes extra. 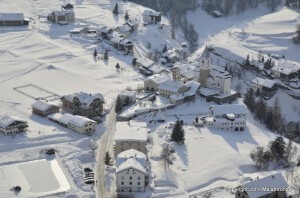 In September 2015, the castle was sold to Swiss artist Not Vital for 8 million CHF with the community also voting to clear the sale and support the upkeep of the castle to the tune of 200,000 CHF annually. In return, the artist must keep the museum publicly accessible until at least 2030.